It’s very cozy in an Upper West Side apartment on New Years Day. In a short time I was to sit down to a late afternoon dinner of goose. That’s right, goose. Our hostess is a doctor. She was born in Belgium. Also present was a teacher friend of mine who instructs high school students in the finer art of Latin. She is fluent in about seven languages. My wife and I made up the foursome. We were listening to Edith Piaf on our hostesses iPad. All was right with the world. Then I begin to think about percentages. But first, you will need a little something we writers call “backstory”. It sort of fills in the early blanks of a story so you’re not confused later on…if you get my drift. I took a girlfriend of mine to Paris in 1984. It was October. We pulled into Montparnasse train station after a rapid trip from St. Malo where we had arrived from a port on the south coast of England. We stretched on the platform as we detrained. When we got to the concourse, I stretched again to show the Parisians that I was very nonchalant about being in the City of Light. I didn’t gawk, I made a big sweeping stretch to demonstrate that this was just another of my many arrivals in Paris. I spotted a bistro among the shops near the exits. “Let’s have a drink before we go to our hotel,” I said, while pretending to yawn. This was my chance…my first chance to impress my girlfriend with my fluency of French. We sauntered up to the bar and I leaned against the bar with a casual intensity. “Deux vin blanc, s’il vous plait,” I said, with authority. “Deux vin blanc? Asked the bartender. I had nailed it. My girl was in awe of my cosmopolitan demeanor. The bartender pushed two Heinekens at me. Ok, I thought, he has my number. He knows what he’s doing. He’s intent on humiliating me in front of my girl. But should I turn the tables and refuse the beer or…what? So, I decided to play it cool to let him know that I knew what he was up to. That way I would come out ahead…I was now onto his game. I grabbed the beers and we drank them as if they were really what I wanted to order all along. Besides, my girl was about 0% fluent in French. Me? I took French in high school and German in college but it stuck to me like velcro that’s sewn on backwards. I was an altar boy for years in grade school, but I can only remember “Mea culpa” (my fault). Somehow that stuck with me. So, I was maybe 10% fluent in German and 27% fluent in French. I knew enough French to take my girl to a Parisian restaurant and enjoy a great meal as long as it consisted of bread, butter and wine. Isn’t that what the French eat? Back at the dinner party. We were waiting for a male friend of our hostess. His name was Jamie and he was an artist. 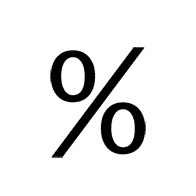 That’s when I began to think about percentages. There were four of us: 75% were women and 25% men (me). Two of the women were in health care which was 50%. One was an active educator, 25%, but I was retired from teaching…so on one level, educators were 50% and on another level, only 25%. My wife is perhaps 60% fluent in spanish, the other two women were multilingual. I really couldn’t count myself as fluent in anything except the bowling scores of certain pros I followed on the circuit or the batting averages of the infield players of the Brooklyn Cyclones. So, in foreign tongues, 75% of us were fluent in one or more languages. Wait, there’s Jamie. I can’t speak about his language ability but he’s an artist, which would be 25% of our group. I’ve written a few books so 25% of us were published authors, unless you count the professional papers our doctor hostess probably authored…so that would put published members of our group at 50%. And when Jamie arrived, the dynamic of the gender situation would change, it would be about 20% male at that point. During the pre-dinner conversation, we all talked about shopping at Fairway…that would be 100%. And we all have visited Barnes & Noble, again 100%. Nationality-wise, things stood like this: 25% of our crowd was Belgian, and 75% were born in the USA. But my wife is about 50% Greek. I’m 50% Irish. I can’t speak about our teacher friend except that she was born in Binghamton, NY (so was I), so 50% of the group were native Binghamtonians. My wife was from Astoria, Queens, so that gave our group a 25% real-life borough native. I didn’t know anything about Jamie’s heritage. As the afternoon wore on, 50% of the women (remember they made up 75% of the group) were drinking wine. But only 50% (my wife) was drinking white wine while 50% was drinking red (the hostess). I had no idea what Jamie was going to choose to drink and that he had no idea how he was going to skew the percentages when he arrived. When the conversation paused for a moment, I attempted to redirect the topic to the impact of the percentages we were dealing with here. After staring blandly at me, everyone began talking again about other stuff…like whether Beyonce’s career would last as long as that of Keith Richards. Then the phone rang. Being a doctor she used the phones a lot. This was the land-line. I counted three. So her apartment was 100% covered with phones that used wires. All the rest of us had cell phones, that would be 100%. I suspected Jamie had one too, so that number was safe, for now. The call was from Jamie. He wasn’t feeling well due to his knee injury and, with apologies, he said he could not make it. In a way, I felt relieved. More goose for me and I wouldn’t have to re calculate the percentages again.